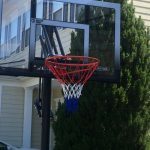 If you have bought a portable basketball hoop, you should know how to take care of it and for that you should first learn about some basic things. A portable basketball hoop is an innovative concept which was partly patented by Lifetime in the 80s and is today the most popular one in the basketball world. It helps people enjoy playing this wonderful sport wherever they get a space and flat surface. It provides versatility and several fun moments that people couldn’t have when basketball had to be played only on special courts which offered limited access to those who couldn’t reach these destinations. Thanks to today’s portable system which can be taken anywhere and offer basketball lovers an opportunity to shoot some hoops anytime, anywhere. Although basketball hoops come with a lot of features that differ according to the type of system you select, you can remember a few tips and tricks that can extend the life of your investment. Most leading manufacturers deliver their products packaged in high end materials that protect your purchase as long as possible. Rust and deterioration are generally not seen on these hoops. However, you can certainly try some things so as to keep your best portable basketball hoop in top shape for as long as you can. Most of today’s rims are designed to last forever. If you don’t meddle with this part of your portable system, things will be alright for an indeed longer time. A behavior like drinking and hanging on the rim will shorten the life of the rim. Most portable systems are built to keep outside. Despite the special materials and paint used by the top manufacturers, weather elements can destroy your investment, of which wind storms are the most common. Therefore, make sure you store it in a safe place. If you don’t have a room for that purpose, at least take the rim down. 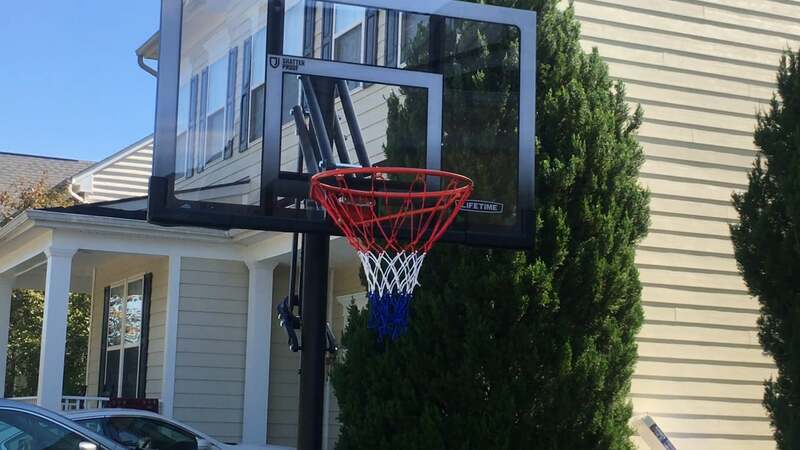 The backboard is quite strong but the rim can bend if the wind tips over the whole thing. Once again, if you don’t have a room to store your hoop, you must at least make sure to keep it covered in the cold season. A detailed maintenance manual is available with most portable basketball hoops. Read yours carefully and you’ll get certain wonderful tips. Some removable parts can be lubricated and some bolts can be tightened. Look at manufacturer’s suggestions keenly. Most of them explain how much weight their product can support. Never dunk unless you are sure your portable hoop can stand the abuse. Also make sure the system of height adjustment is used regularly, since if it’s not in use for years, it may get stuck. Use these tips and maintain your investment for years, so that you can enjoy your beloved sport anytime you want.